In the game, Völuspá, the players play tiles with twelve different characters and creatures of Norse Mythology, using the power of these tiles to block, capture or intimidate in order to control other tiles and score points. The player who scores the most points by dominating other tiles wins the game. 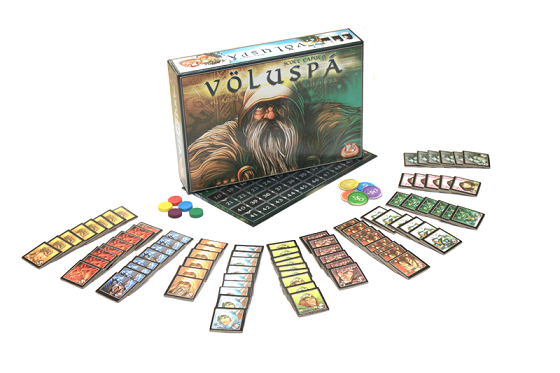 Völuspá includes the expansion module Saga of Edda, which offers even more strategic opportunities and replayability! Add a Review for "Voluspa"